Salesforce DX introduces an entirely new development paradigm for Salesforce; Source Driven development, Scratch Orgs, Unlocked packages – there’s a lot of new concepts, capabilities and tools to consider when designing a modern, collaborative development process. 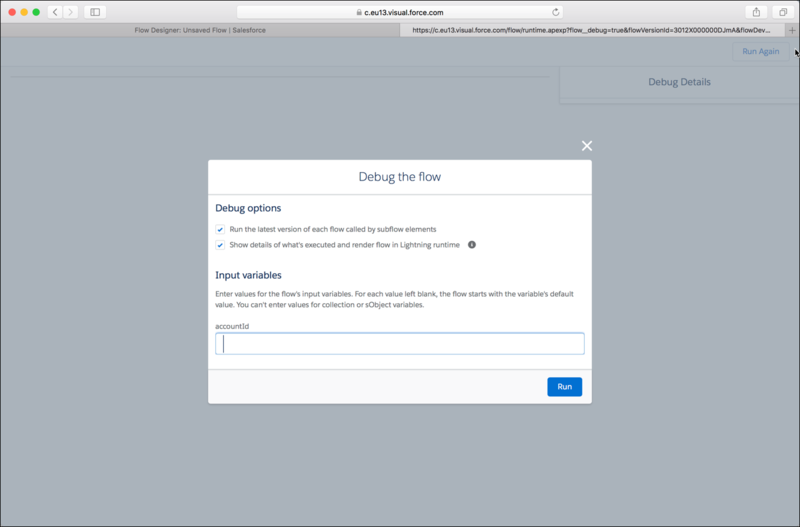 This post outlines a Developer Workflow that combines the Salesforce CLI and Git version control system as one basic example of how Salesforce DX can be applied in practice. The workflow includes a reference to the type of commands that may be executed at each step, however specific details in respect to parameters etc. should be referenced at the links below. A Source Driven Development methodology is applied; the source of truth is git never a Salesforce org. Source Format is always SFDX (git and local). Scratch orgs are intended for single developer use. Developer1 and Developer2 will work collaboratively on a new Feature1 for ProjectA. git: A new branch is created for ProjectA. git: A new branch is created for Feature1. 1.1 create a new local branch Feature1Dev1 and check out to this branch. 1.2 retrieve the Metadata API components from a Source org and convert to Source format. This could be by package reference or manifest. 1.3 add source format files to the git branch (not the metadata source). 1.4 create a Scratch org (optionally with an expiry date; max is 30 days). 1.5 push source format to the Scratch org. 1.6 transport data to the Scratch org. 1.7 run configuration scripts e.g. PostInstallScript (or equivalent Apex script) in the Scratch org to configure settings. 1.8 open the Scratch org to make declarative changes and pull to local folder. 1.9 modify code in the VS Code IDE and push to the Scratch org. Note, SFDX tracks changes between the local folder and the Scratch org, i.e a pull command will return only detected changes. 1.10 create a Scratch org user for any QA users involved in early system testing. 2.1 Developer1: pushes local branch Feature1Dev1 to origin. $ git commit -m "feature1 commit.."
A quick video post providing a demonstration of the interactive Apex Debugger. The context of the demonstration is an ISV partner debugging a packaged code issue in a subscriber (customer) org. 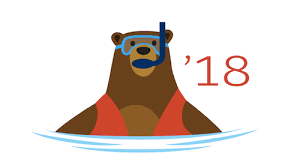 Spring is once again upon us (in Salesforce release terms at least) this year we have a nice logo featuring the trailhead character Codey the bear practising the Japanese art form of Bonsai (I think). The new release is available now for pre-release preview. Flow or Visual Workflow if you prefer, gains significant new capabilities in the Spring ’18 release. It’s clear how strategically significant Flow is for Lightning Experience in providing a rich declarative build option to balance the technical complexity of Lightning Component development. Stages (beta) – the ability to track progress through a flow interview via Active Stages and Current Stage resources. In addition to the various design related changes the new release also introduces improved execution options enabling tighter UI-level integration of Flow interactions. The most significant of these options is the ability for Flows to be auto-launched as Subtabs in the Lightning Console in response to an associated record being opened. The release notes describe this feature as Lightning Flow for Service – which implies some level of restriction in terms of supported objects to start with. Described as one-click data science this new feature enables standard report data to be analysed to provide key insights. The feature is invoked by a button within report builder and specific numeric fields can be targeted for analysis. This could be a very powerful new capability for Salesforce reporting with broad appeal, the proof of this will lie – of course – in the usefulness of the insights drawn which could be limited by the available data. Toward the end of 2017 Salesforce introduced the impressive sounding Saleforce IoT Explorer Edition, a platform to process events from connected devices in near real time. With the Spring ’18 release a new REST API is added to enable manipulation of the various IoT components (orchestrations, traffic etc.). It would be great to see more information on this somewhat mysterious edition; who’s using it and for what specific use cases. Previously available as Salesforce Classic feature, pinned regions are now available in the Lightning Console. 3 new templates are now available in the Lightning App Builder (e.g. Console: Pinned Header and Left Sidebar). Pinned regions provide an effective tool in composing optimised agent experiences that reduce the dreaded click-count. The Winter ’18 release introduced a pilot for Change Data Capture – a new data integration technology to support ongoing synchronisation of external data via an event bus. In short the client subscribes to a channel and receives published changed data events relating to record creation, modification and deletion operations taking place on the Salesforce platform. Spring ’18 adds Activity and PersonAccount objects plus Gap events (background process changes not normally published) and Overflow events (for high volume cases where the 10K change per transaction limit is exceeded). CDC offers a robust and scalable alternative to the data synchronisation capabilities of the SOAP API and also Heroku Connect. An obvious theme of the Spring ’18 release is Data Protection; with the European Union General Data Protection Regulation (GDPR) coming into effect in May 2018 (plus other equally significant regulations on a worldwide basis becoming more prominent) platform changes have been made to aid compliance and specific guidance provided for all business in respect to the processing of customer data. Individual Object. A new standard object for storing data privacy preferences that relates to Lead or Contact (or PersonAccount). The Individual object supports custom fields, validation rules, triggers etc. to enable full customisation as required for compliance with applicable regulations. In the previous absence of a standard approach to privacy data, many organisations have added custom objects, fields etc. for this purpose. For less forward thinking organisations data protection compliance has just become slightly easier to approach. Contact data for customers in the UK and Ireland have been removed from Data.com Connect. In simple terms, for GDPR compliance such customers would require an explicit opt-in with reason etc. for processing. Inbox Read Receipts can be turned off; to protect customer privacy. A new Survey Component enables rapid development of User or Customer facing surveys. In short the Component is embedded in a Lightning Page and surfaced internally for Users or via Community to Customers (public or private). The new Survey tab provides access to the Survey design environment. Surveys can be previewed to test the runtime experience. Surveys introduce new standard objects. Object overrides can now be set individually for Salesforce Classic and Lightning Experience, a huge improvement where both experiences are in use; which is the majority case. The highly useful Time field type moves from private to public beta in Spring ’18. Where time values need to be tracked outside of a given date, this new field type will be invaluable. Interesting that it’s taken until 2018 for such an obvious data type to make an entrance. It’s that time of year again where summer is gently transitioning to autumn and the winter (in salesforce release terms) is on the horizon. Winter is coming – seems familiar as a phrase – starting late September (for instance details refer to http://status.salesforce.com/status). Now more than ever before there’s no excuse not to be fully prepared, the available release readiness resources are considerable, including a Trailhead badge, videos, webinars etc. a great place to start is the customer success community. Those of an inquisitive mind can also participate in the Winter ’18 treasure hunt where release explorers are encouraged to post discovered features to Chatter and Twitter with the #Winter18Treasure hashtag. 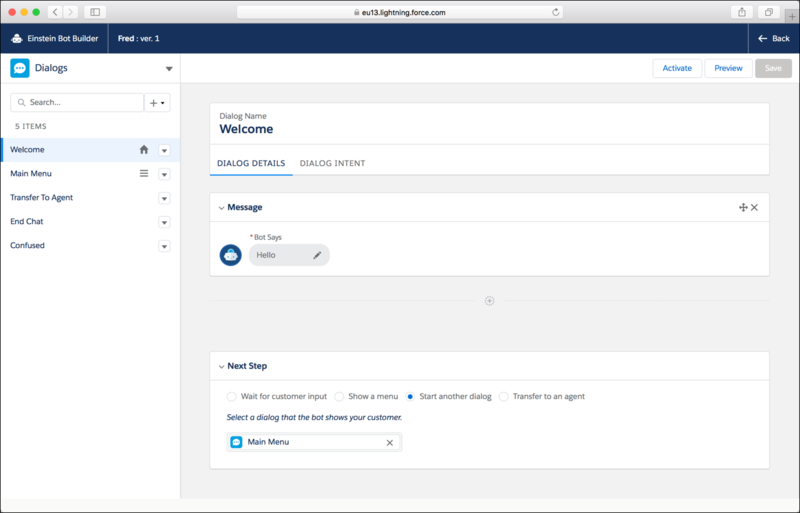 The Lightning Experience UI has evolved in the Winter ’18 release, no doubt in response to customer feedback and usability studies. The main issue that has been addressed is the sense of snow-blindness resulting from a lack of contrast between the page content and background elements. Other improvements include increased list density (more on a page) and page legibility (typography changes). In recognition that work will be required to align custom Lightning components to the new look, a new setting is provided to control activation (Setup > User Interface > Themes and Branding). The screenshot above shows the new contrast between the background – now a blue image – and the foreground content. Salesforce Developer Experience (SFDX) will move from Beta to GA status for the Winter ’18 release (specifically mid-October 2017). This includes the Visual Studio extension “Salesforce Developer Tools for Visual Studio Code” which provides a VS code editor for developing on the Salesforce platform using the Salesforce DX development flow. I don’t see any new DX functionality specific to the Winter ’18 release, however there is a new beta for Second-Generation packaging; where the artefact=based (not org-based) model is extended to a new packaging approach – I assume. The Language APIs form part of the Einstein Platform Services API set and support natural language processing use cases such as intent (product interest, case/lead routing etc.) and sentiment (positive, negative and neutral) analysis. The technical detail for the Einstein Platform Services APIs can be be found here. Base Lightning Components are pre-built SLDS versions of common elements (buttons, labels etc.) intended to streamline and accelerate lightning development. Since release in Winter ’17 new base components have been added to extend the library. Winter ’18 adds an impressive 30 new components examples being accordion, data tables and notifications. Shield Platform Encryption has been extended to support filtering scenarios such as reports, list views and where clauses in SOQL queries. In addition to the existing Probabilistic encryption scheme, fields can now be set with the new deterministic encryption scheme which allows such encrypted fields to be filtered. Filter conditions can now be set on Lightning Page to determine when a given component is rendered. As the screenshot above shows individual Component Visibility can be controlled using compound filter logic driven dynamically from the record attributes. Previously invocation of a Process Builder Process was limited to chaining and object data events, with Winter ’18 this is extended to include Platform Events. Platform Events are part of the Salesforce enterprise messaging platform intended to support event-driven (or messaging) architectures. In simplistic terms a Platform Event is defined as a special type of custom object with a __e suffix. Events are inserted to the object from external publishers via API or Apex. Event records in a Platform Event can’t be edited, deleted or viewed in the Salesforce UI. Triggers on the object then consume the event and apply the required logic. With Winter ’18 Process Builder and Flow can now perform the event consumption instead of Apex. Prior to Winter ’18 activation of Person Accounts (for B2C implementations) required that the Contact object inherit sharing from the parent Account. For a Person Account this makes sense, logically the records are unified. For Business Accounts however this approach can be problematic as often Contact sharing behaviour is required to be more granular. With Winter ’18 this sharing constraint is removed and Business Contacts have a distinct org-wide default setting when Person Accounts are activated. The new @isTest(isParallel=true) annotation overrides the default “disable parallel test execution” setting and provides greater control over the level of concurrency applied during test execution. In many cases locking conflicts on Custom Settings can require the full set of unit tests to run synchronously where only a subset are affected. This new annotation will allow unaffected test classes to run in parallel. Feature Parameters will be GA mid-October 2017 on. The Feature Management App (FMA) extends the License Management App (LMA) to allow control over individual features within specific Subscriber orgs. New features can be introduced and enabled for select customers before general release etc. Feature Parameters are defined in the packaging org (via Metadata API types) and referenced by packaged Apex code using the System.FeatureManagement namespace methods.